In 1979, the Maine Legislature enacted the Maine Hazardous Waste, Septage and Solid Waste Management Act. 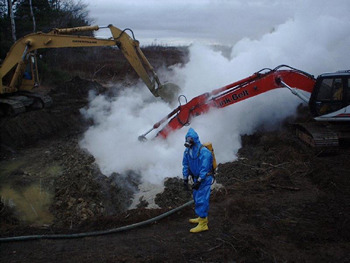 This Act directed the State of Maine Department of Environmental Protection to issue State regulations for the safe management and transportation of hazardous wastes. These rules built upon the minimum Federal rules, tailoring them to Maine's environment and strong reliance on groundwater for drinking water. These rules are called the Maine Hazardous Waste Management Regulations, Chapters 850 through 858. Commercial chemical products, intermediates or off-specification products. There are two lists for this category, one for acute wastes and one for non-acute wastes. An example of an acute waste is epinephrine. An example of a non-acute waste is naphthalene. For more information contact the Hazardous Waste Staff at (207) 287-7688. Abbreviated License Application for Beneficial Use or Reuse of a Hazardous Waste On-Site (MS Word format) - Anyone wishing to recycle a hazardous waste for reuse on their site must obtain a license from the Department prior to commencing the activity. This includes distillation or solvent recovery units. Examples of facilities that may wish to use this type of technology include medical laboratories, boatyards and auto body shops. Hazardous chemicals recycled include alcohol, xylene, mineral spirits and other solvents. Register as an Industry User to gain access to the myRCRAid system, to US EPA's Biennial Reporting forms, to the e-Manifest system, to complete a new notification or update an existing notification. See RCRA Industry Users Registration Guide for details. Small Quantity Generator Checklist (pdf format) - should only be used by companies which generate less than 100 kilograms (220 pounds or about half of a 55-gallon drum) of hazardous waste per month or less than 1 kilogram (2.2 pounds or about one quart) of acute hazardous waste per month. 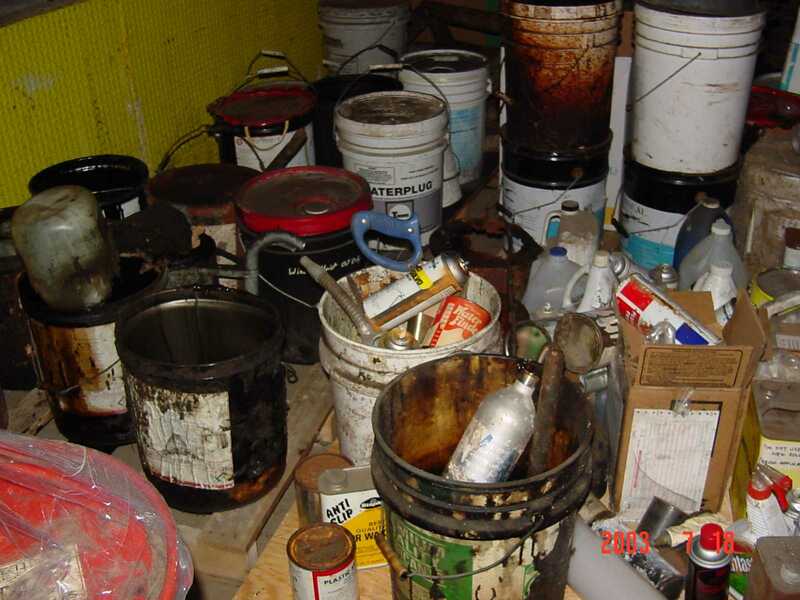 Shipments of hazardous waste must be documented by a Federal Uniform Hazardous Waste Manifest. 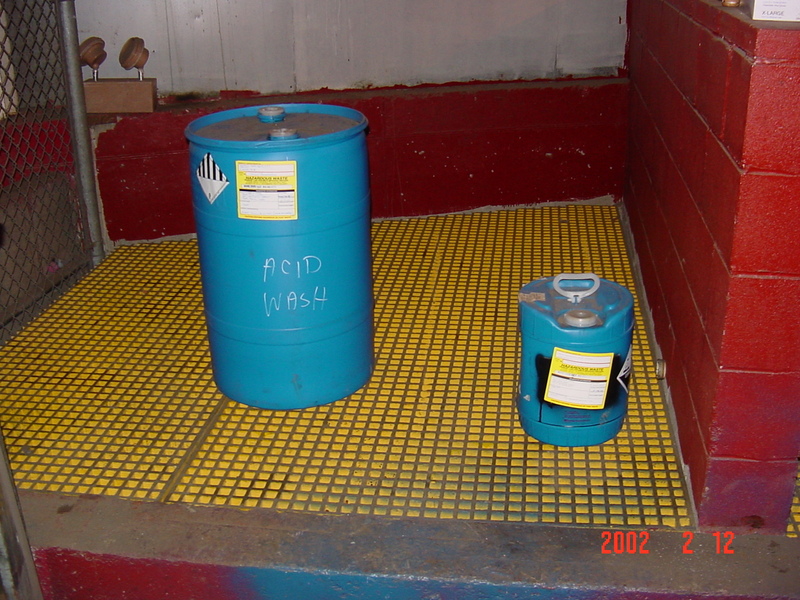 The Uniform Hazardous Waste Manifest is available in a traditional paper form or, as of June 30, 2018, an electronic form known as the EPA e-Manifest system.. See Uniform Hazardous Waste Manifest and EPA's e-Manifest System for more detailed information including e-Manifest fact sheets and a RCRA Industry User Registration Guide. Webinar: Pre-recorded small quantity hazardous waste generator regulation overview. Household Hazardous Waste Collection - Please contact your Town Office for further details. Hazardous Waste Transporters – Questions and answers, licensing, manifesting. Resource Conservation and Recovery Act (RCRA) Corrective Action Program – Description of program phases with examples. A universal waste is a hazardous waste that is widely generated by individuals, businesses, and hospitals…by almost anyone. Universal wastes are certain batteries, cathode ray tubes, certain lamps, fluorescent bulbs, mercury devices, mercury thermostats, motor vehicle mercury switches and polychlorinated biphenyl ballasts. Because these items are products, they have not traditionally been recognized for their hazards and have typically been thrown in the trash. These wastes contain hazardous constituents and would fail hazardous waste criteria if they were tested. For example, most of these wastes contain heavy metals. These wastes when broken such as in a dumpster or landfill, or when incinerated, release the metals to the environment through either fugitive emissions or from incinerator stacks. Photos of good, bad and ugly Universal Waste Situations. Universal Waste Municipal Collection Sites (MS Excel format) (pdf format) This is a listing by town of municipal collection sites that accept Universal Waste. Please note there has been a color coding change in the list. The white blocks now signify that we have gathered the information from those towns. Light green means we were not able to reach anyone in that municipal office. Light blue means that they will take from anyone in the state not just for the residents in their town. Retail Store Collection Sites - This is a listing by town of retail store collection sites that collect intact compact fluorescent lamps (CFLs). This is a service for homeowners and is free of charge. The CFLs are sent for recycling through this program. If anyone finds any errors or changes to these listings, please contact the Hazardous Waste Program staff at 287-7688. Household Hazardous Waste - How to dispose of Household Hazardous Waste, Towns Organizing Household Hazardous Waste Collections, Recycling Program for Mercury Containing Thermostats, Recycling Program for Rechargeable Batteries, Universal Waste, and Computer Recycling in Maine.